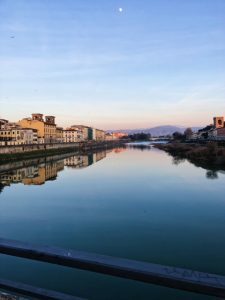 We caught up with SAI Ambassador, Sarah, who answers a question about her Marketing class in Florence. Picking classes was easy when it came to my semester abroad because all of the Marketing classes sounded exciting! My favorite class abroad was International Marketing. Our three-person group assignment was to pick a country around the world and market a product of our own creation. My team decided to create an Organic Makeup line based in Japan. We named out company SO Beauty and incorporated the Japanese Cherry Blossom, a symbol of youth and beauty. Throughout the semester, we made an Instagram, website, logo, product ideas, and marketing strategy. Each week we updated the class of our progress learning the ways to market in our chosen country. I loved hearing the other companies around the world. My classmates were creative and I learned about other countries based on what products were made. Some teams chose BBQ sauce and others chose clothing. It was a wide range of items and the project left room for imagination. I got close with my team and loved to show our improvements each week. Florence has countless of activities to offer that truly enriched my experience living there. My favorite thing to do was getting my friends together and heading over to our closest gelato stand. Gelateria dei Neri was our favorite shop because it was in the middle of our apartments. I am such a creature of habit so I always got the Stracciatella and Nutella flavor together. My friend would try a new flavor each time, anywhere from Strawberry to Hazelnut to Berry. She let me try hers and I was amazed how good every flavor is! There are gelaterias on every corner and toward the end of the semester, my friends and I would try to go to a new location every time. We would even get gelato more than once a day. It was so good and always one of the best ways to explore the city. I enjoyed seeing the local people and walking down every street in Florence with my delicious gelato in hand. Me, enjoying everything Italian that I can! 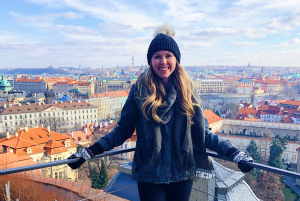 Studying abroad is filled with so many experiences and memories that each day is a new opportunity to learn about yourself and your new country. My number one piece of advice is to truly be open minded to any experience. There were many times when I had the chance to do something incredible that I had never done before. Take those chances because they will be some of your favorite memories. This semester is for you to learn about the world and being open to doing more of what the locals do is how you will fully embrace the culture. Be open about making new friends because they can become your life long best friend and teach you things you didn’t even know you needed to learn. Be open to trying new foods because, trust me, everything is amazing. Being abroad will be the best time in your college career so make sure that you are willing to learn and experience as much as you can. 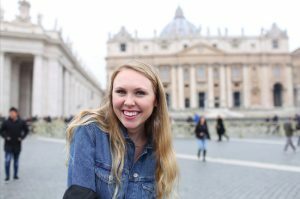 Sarah was an SAI Florence spring 2018 student from the University of Missouri. Italy sounds like a fabulous city to visit. I’m so glad Sarah had this wonderful opportunity. An experience she will never forget and will benefit from all her life.